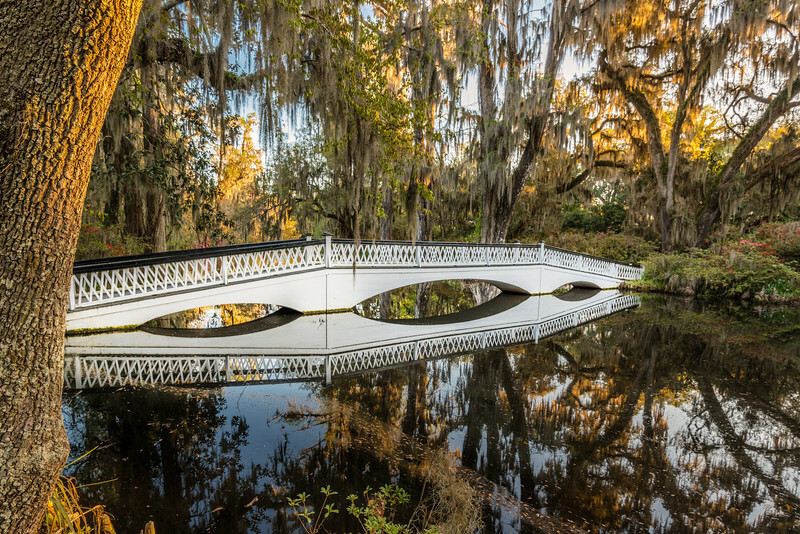 The long white bridge at Magnolia Plantation is probably the most photographed thing at the plantation. With that being said I still felt the need to get my own version of the famous bridge. The flowers to either side of it weren't quite bloomed while I was there, but the glass like water and warm tones provided by the rising sun made the scene just as beautiful even without them.